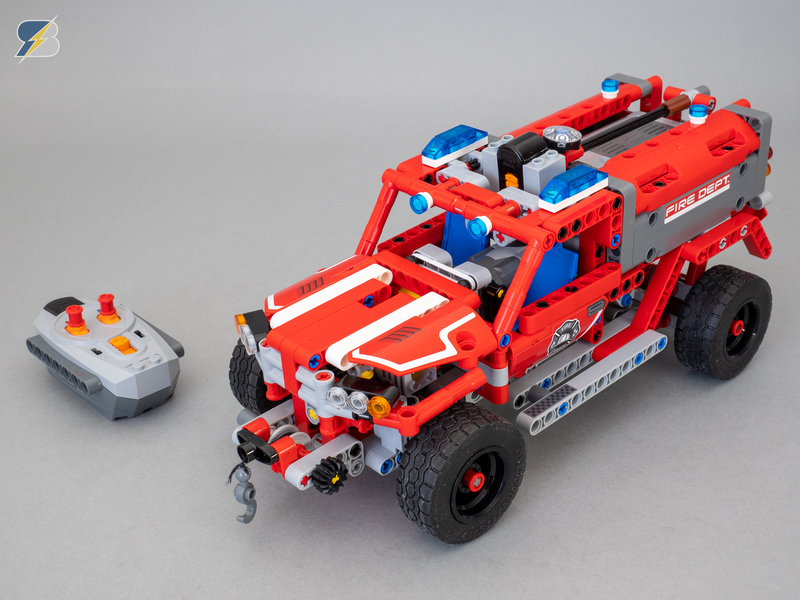 LEGO® Technic 42075 First Responder upgrade pack that enables the remote control of the vehicle. 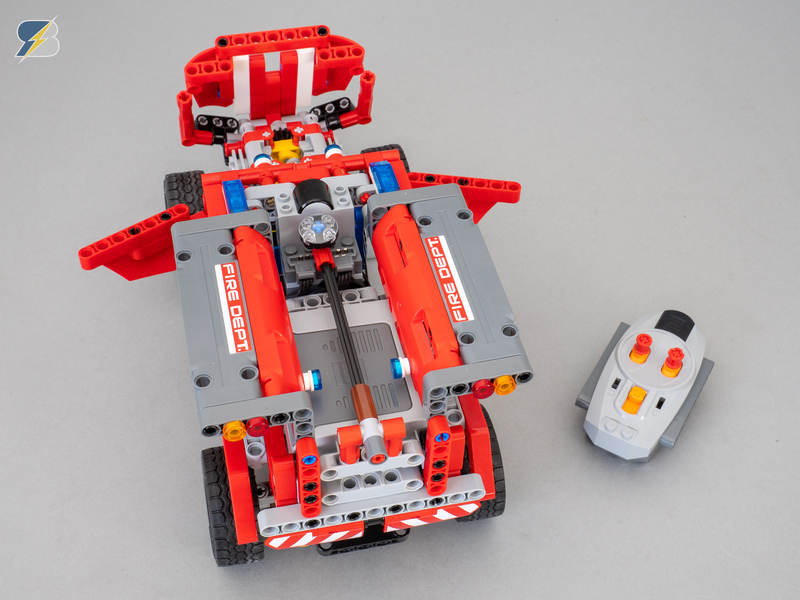 This upgrade pack was designed to use only the Power Functions components of the 42065 RC Tracked Racer set. 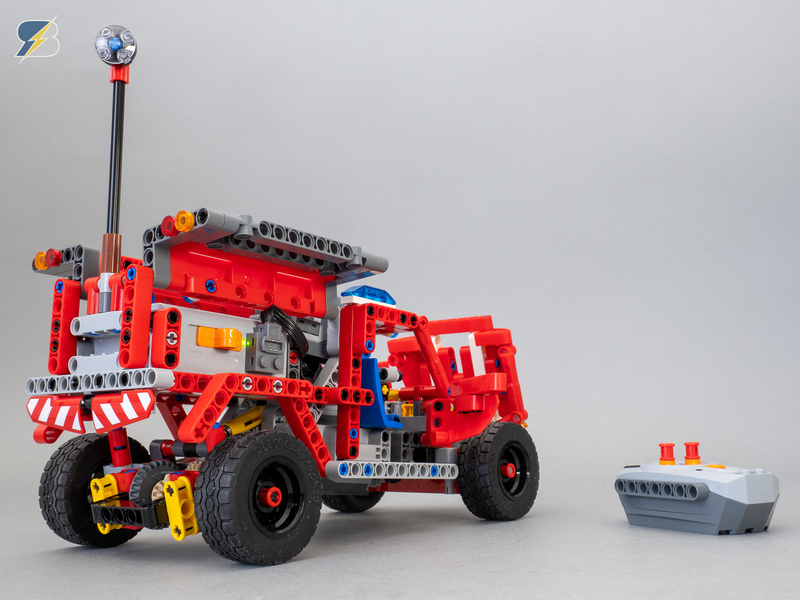 One M motor is used to drive the rear wheels, the other M motor is used for steering.